Earlier this year, Intel showed off a pair of AR smartglasses called Vaunt. They got a lot of people pretty excited, but Intel ended up canceling them months later due to a lack of investment. Vaunt will partially live on though, as The Verge reports that North has acquired the "technology portfolio" behind Intel's Vaunt AR glasses. Basically, North just got its hands on 230 of Intel's patents to help power its Focals AR glasses in the future. That brings North's patent count up to a whopping 650. North's Focals are like a smart, augmented reality-infused version of Warby Parker. They're customized glasses that come with Alexa built in and can do things like give you directions, let you reply to messages and more. You control them with a ring on your finger. 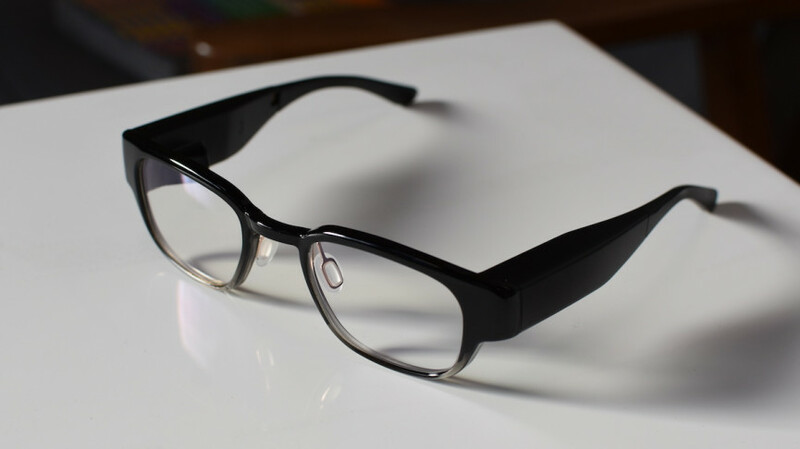 We've tried them out, and they're easy to use, stylish and could be the big breakthrough that augmented reality needs. Intel's Vaunt weren't too far off. However, Intel's big problem is that it couldn't find a partner to actually bring them to market. Ironically, North is a perfect partner, though this partnership has come after Intel killed Vaunt. But what exactly could North use these patents for? CEO Stephen Lake tells The Verge that the new patents are all about fortifying tech for future version of Focals. This includes new technological techniques, user interfaces and ways to interact with the glasses. This could include Intel's subtle head gestures, which were used to control Vaunt. The two companies haven't disclosed the terms of the deal, but Intel just so happens to be a major investor in North. North is well on its way to letting regular folks get their hands on Focals, which are available to pre-order now for $999.